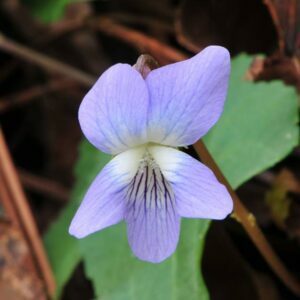 This low-growing native perennial with delicious fruit is very rare in the Coastal Plain of Georgia and South Carolina. 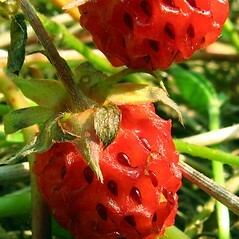 (It’s look-alike exotic cousin, the Indian Strawberry (Duchesnia indica) which has tasteless fruit is far more common. Wild Strawberries are great for pollinators because they bloom in winter and early spring when little else is available. Birds, small mammals, and turtles feed on the fruit. My father and stepmother, Jerry Payne and Rose Payne, shared these with me from their hard clay hillside of Bibb Co., GA. Some were native there, others were rescued from quarries in Crawford Co, GA. They are adapted to wet winters and dry summers. They have also thrived where I planted them on sandy bluffs overlooking the salt marsh in Beaufort Co, SC also. 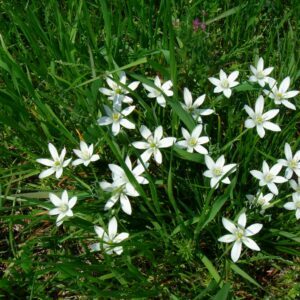 Plant in full sun or part shade, they prefer calcium rich soil. They do good over limestone, shell or masonry. 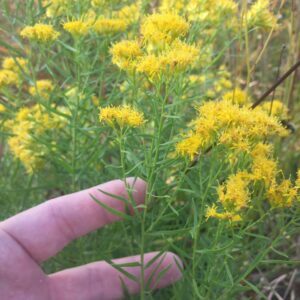 If you have deer, interplant them with native grasses like Chasmanthium laxum. Chasmanthium sessiliflorum or Melica mutica to protect them.